Sew Pretty Sewing Workshop For Children and Teens! Does you child love Drawing, Arts & Craft, or Fashion? Give your children a new experience! 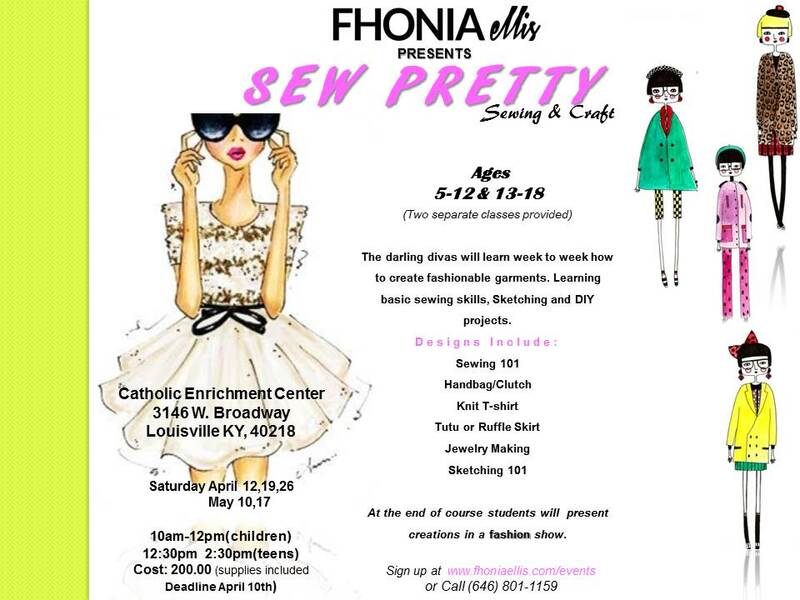 April 12th Fhonia Ellis Presents Sew Pretty Sewing and craft workshop.Our sewing classes for children and teens take place on weekends. • Sewing class students model their creations in our Fashion Show! Fhonia Ellis has the perfect class that will nuture your child’s talent.